When it comes to making delicious desserts, it’s hard to beat a homemade pie. Although it takes a decent amount of work to put one of these things together, we often skip the pie crust step by just buying a pre-made one from the store. Still, making your own pie dough doesn’t have to be as daunting as it sounds. In fact, we have a simple way to do it that we’re going to show you today. 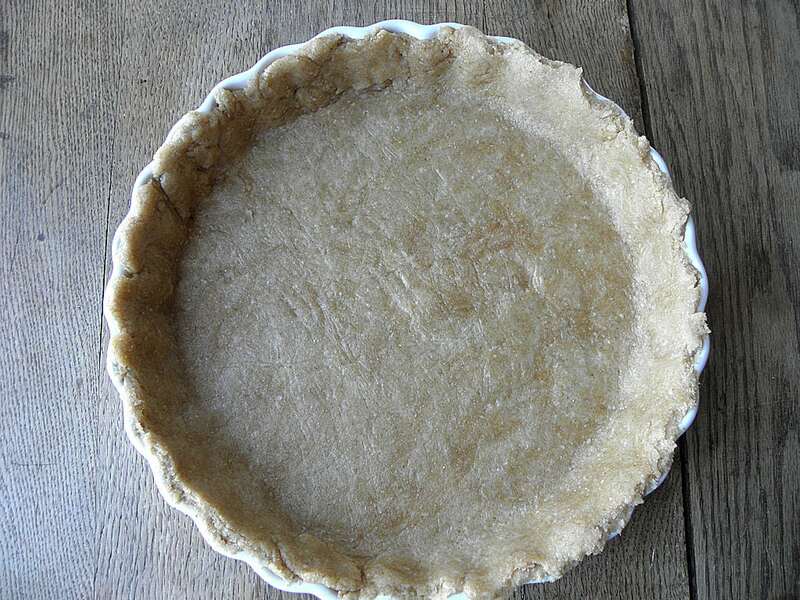 This easy recipe for pie crust involves no rolling and no cutting. All you have to do is throw the ingredients together, mix it all up and use it in whatever pies your little heart desires. So what are we waiting for? Let’s get started. 1. Before anything else, get out a nine-inch pie pan and spray it down with some non-stick spray. Set it aside. After that, get out a large bowl and whisk together your flour, salt and baking powder. 2. 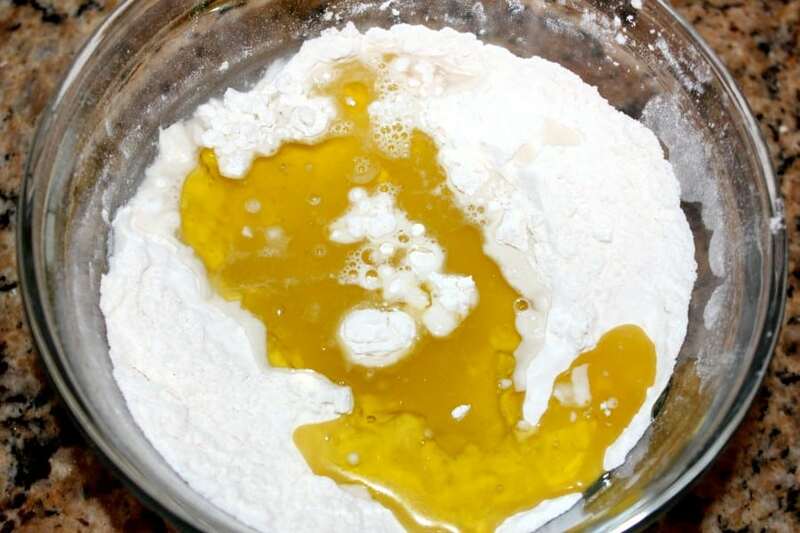 After those dry ingredients are combined, add in your oil and water and keep mixing until those mix in as well. Once it starts to form more of a dough-like texture, roll the entire thing into a ball. 3. 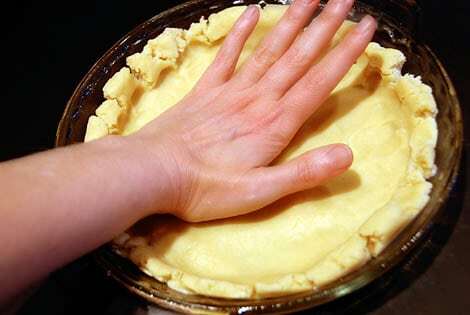 Next, press that dough into the bottom of your pre-greased pie dish and spread it out towards the edges of the pan. You can either use your knuckles or the bottom of a glass to push it around evenly and spread it all around. 4. Finally, make sure the dough reaches up and around the edges of the sides and crimp the edges with a fork if you’d like to decorate them. After that, fill it up with whatever recipe you’re making, bake it according the instructions and enjoy! 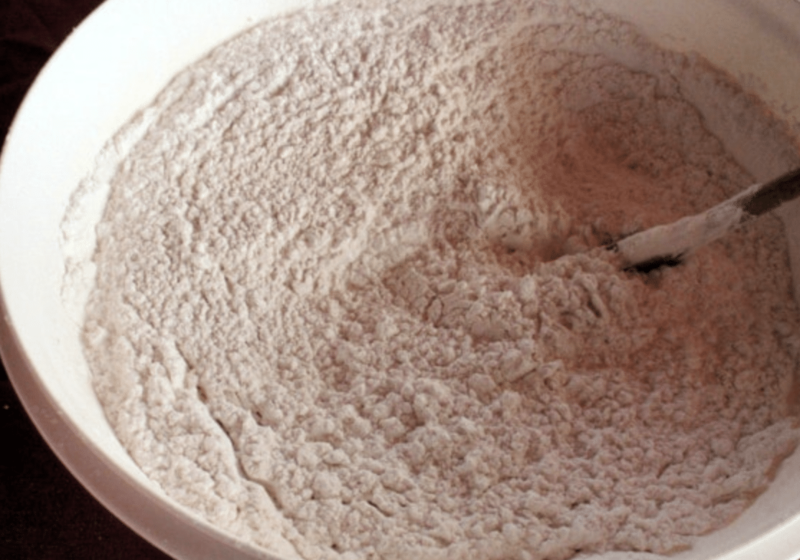 Although homemade dough makes many of us balk, the truth is that making this ingredient is a lot easier than you might’ve thought. It truly only uses five ingredients and almost no preparation—all you have to do is throw everything together and mold it into a ball. While we’re not telling you what to make once you have your crust, this is a recipe you’re sure to come back to again and again. With this in mind, give this recipe a shot and let us know how it goes!